Like I shared before, I have no idea how I’m going to organize all my tales from the road. So let’s just throw chronological order out the window and go with ‘what Bekka feels like writing about today’ order. 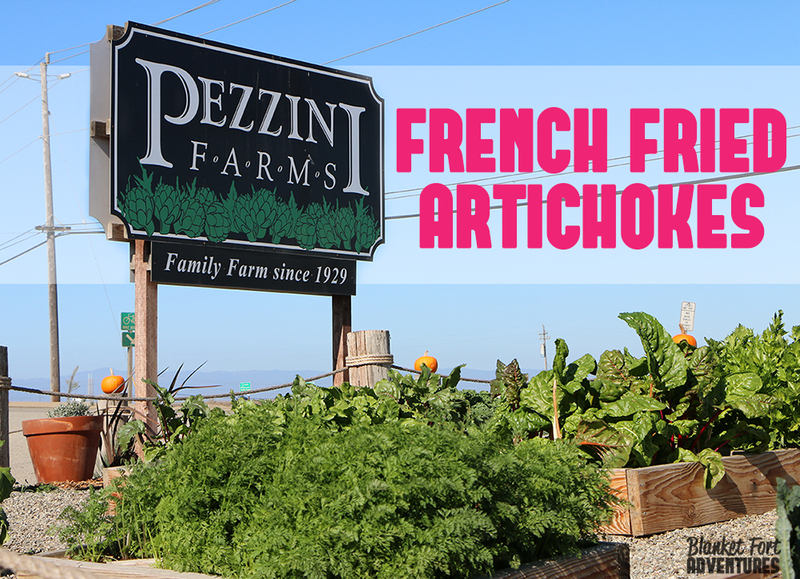 On our way up to San Francisco, we passed by a road side sign that said ‘french fried artichokes’. 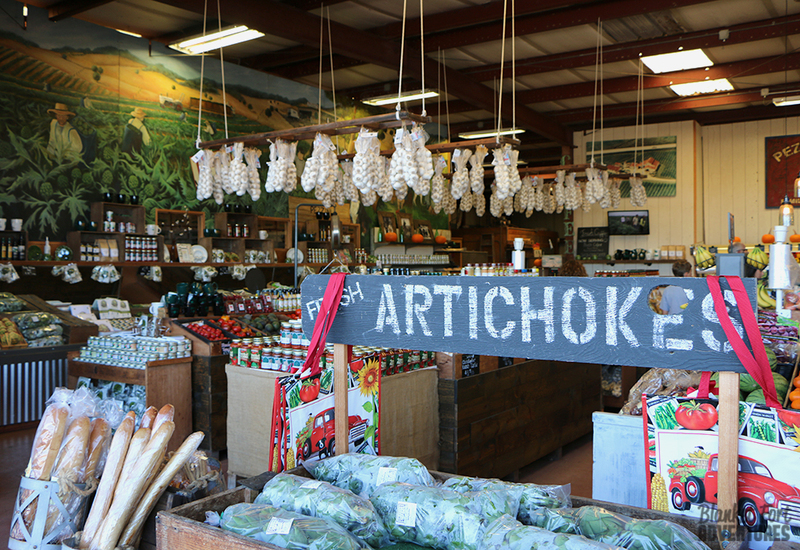 Being a connoisseur of french fries and a lover of artichokes, we put the farm on our list of things to hit up on our way back down. While on the road, because of time constraints, there tends to be a lot of “leave it for the drive home” decisions – this was one of them. 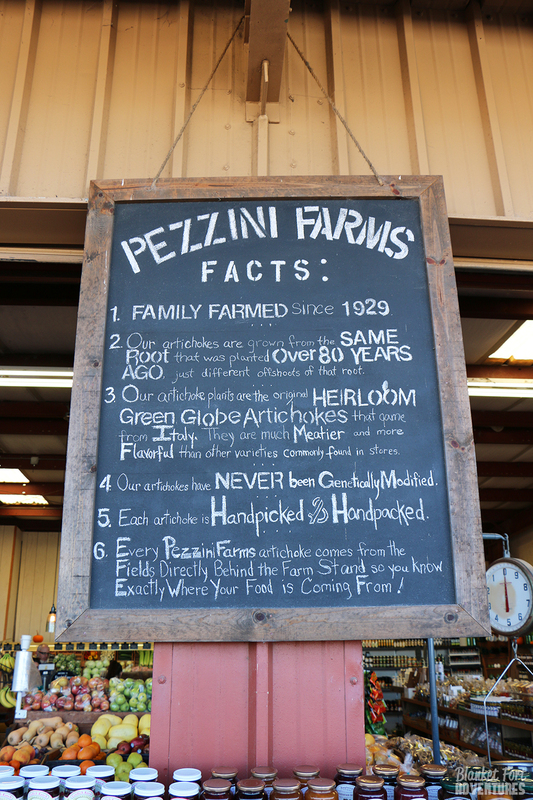 We wrote down the name Pezzini Farms and on our last day of the road trip looked up the farm. 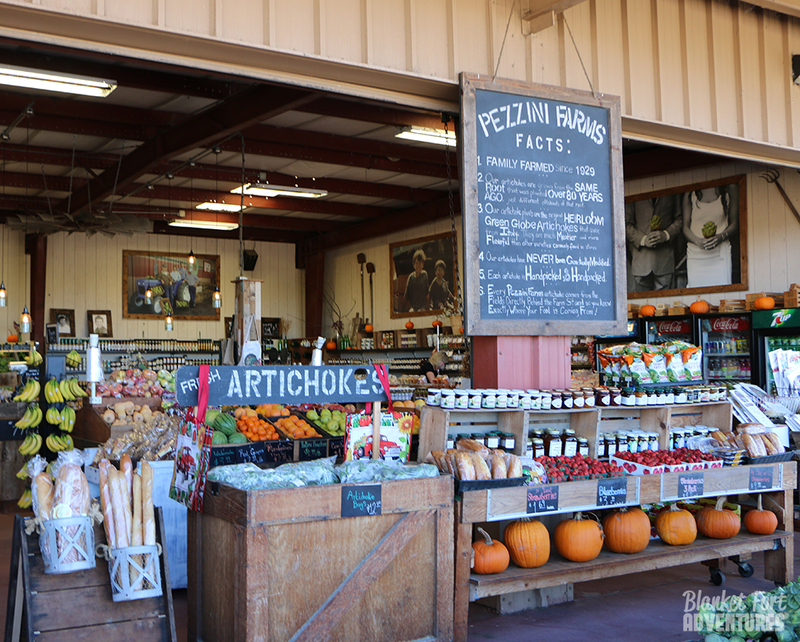 I wasn’t expecting much but was still blown away by the adorable farmer general store they had set up. 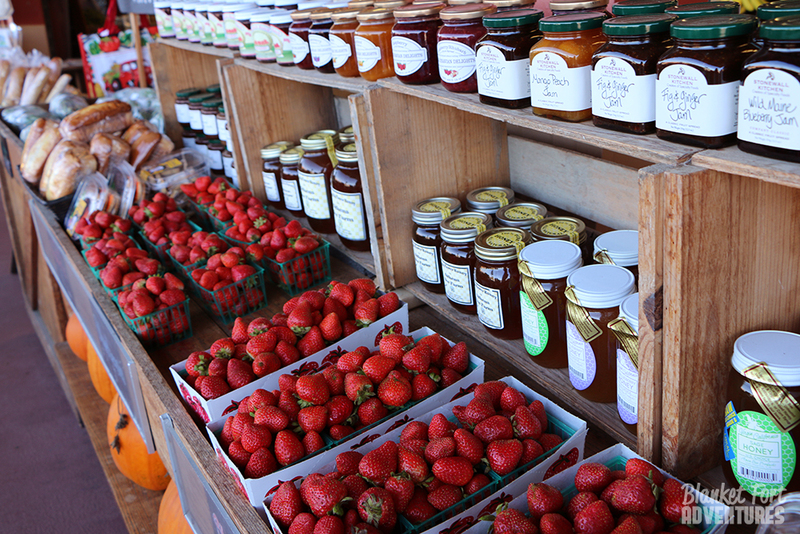 Jars of jams, jellies, and local honey lined one of the walls; adjacent was a wall filled with fresh chopped garlic, sundried tomatoes and sauces for pasta or dipping artichokes. 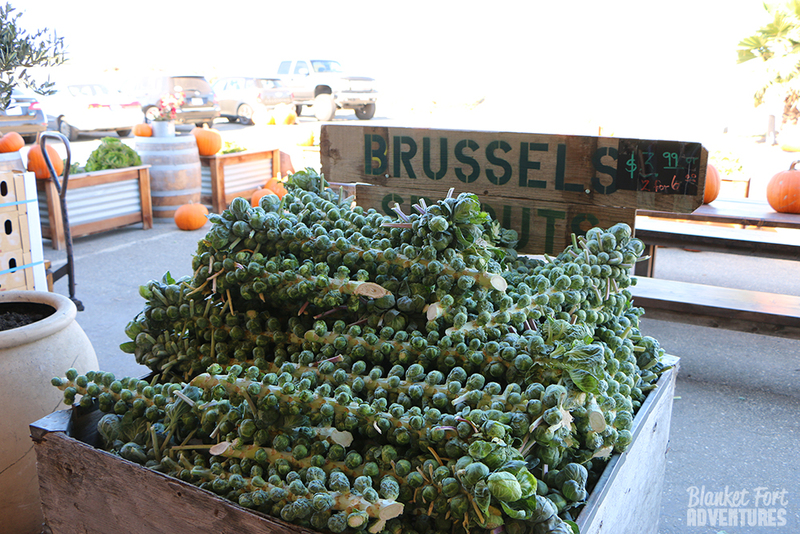 I squealed at the rustic signs for brussel sprouts and artichokes, I couldn’t get over how country chic and pinterest-y it all was! We ordered our french fried artichokes, which actually look nothing like french fries, but are battered and fried artichoke hearts. They gave us a delicious garlic aioli for dipping, and I even came up with a technique for enjoying them. At first I popped a whole one in my mouth and wasn’t that impressed. I couldn’t taste any of the artichoke. But the second time, I decided to savor the bite more and actually took bites of the heart. I don’t know if it’s because the artichoke became exposed to oxygen or something, but suddenly I could taste more of the artichoke and I really enjoyed it. 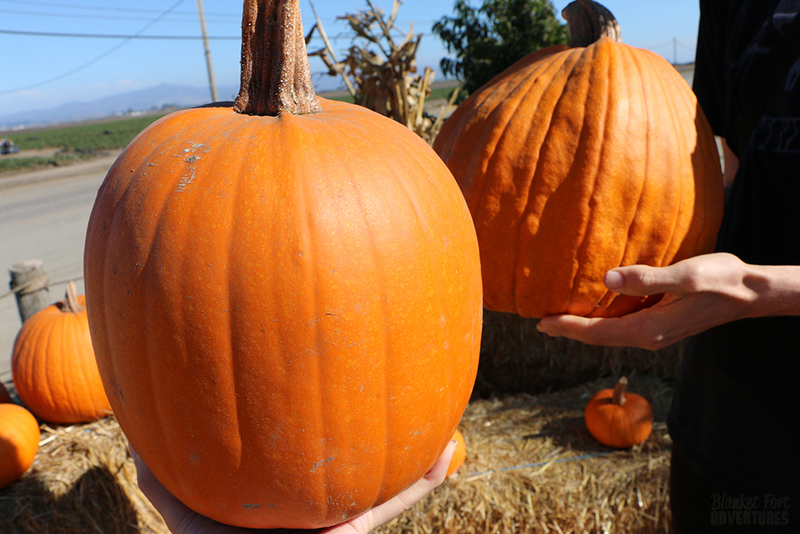 We picked out our perfect pumpkins, mine is oval and smooth, his has a lot of character; tonight we are carving them up! Hence, me wanting to post about how we acquired our pumpkins. I can’t stress enough how wonderful it is to follow a roadside sign and see where you end up. I had no idea what these french fried artichokes would be, but it lead us to the most delightful market. We also purchased a large jar of yummy raw honey and three artichokes that I steamed last night. It was my first time steaming artichokes, the idea of it and instructions are much more difficult than the actual execution. Well, I’m off to carve a pumpkin, eat pizza, and watch Lincoln. 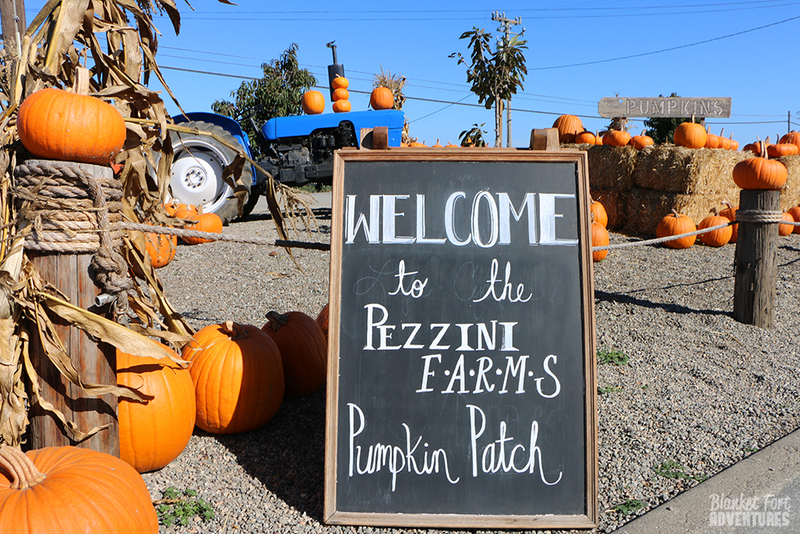 I love how our first pumpkin carving experience now has a romantic story attached to it – we picked them out on the side of the road amongst fields of artichokes on our engagement road trip. I can see Keanu Reeves being cast as Bowerbird and the movie poster looking something similar to A Walk in the Clouds.